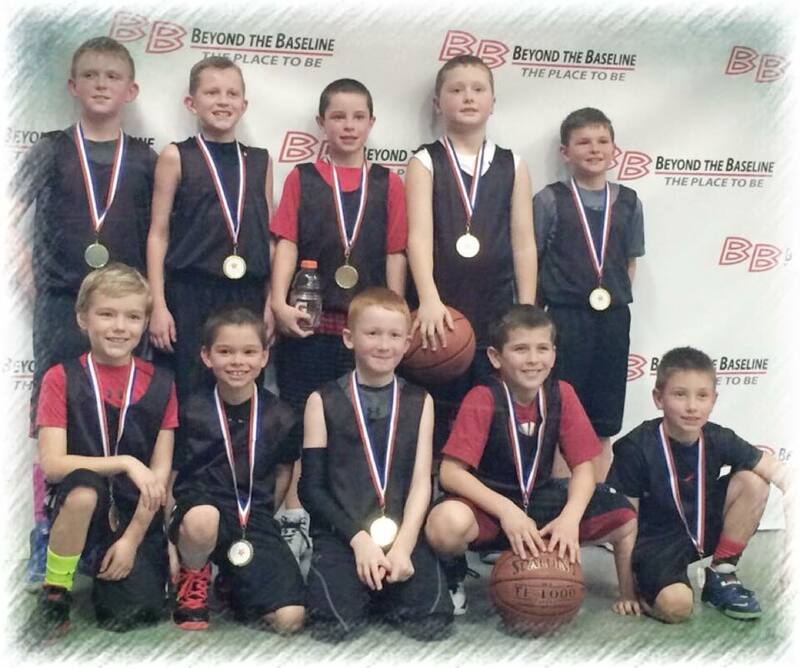 Here’s what we did with our 3rd grade boys’ team this year. You might be surprised that it’s very similar to how we coached our 10th grade team. 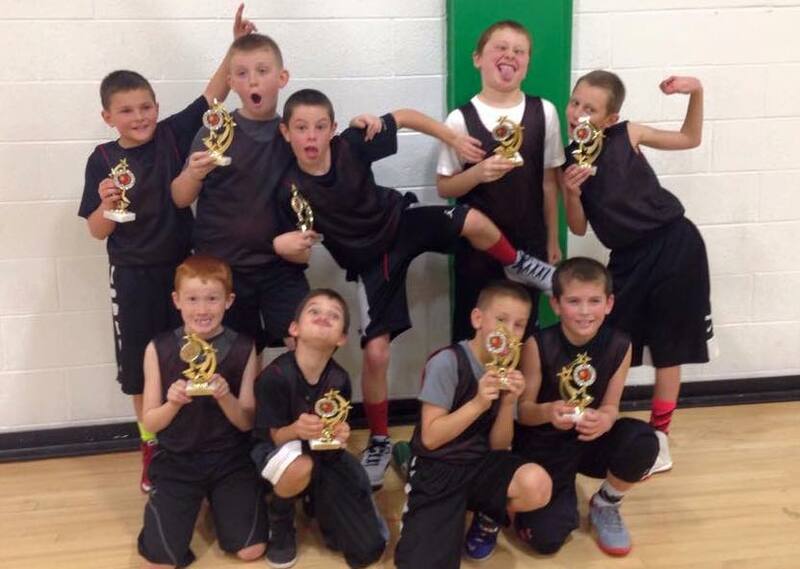 For the sake of transparency, I’ll start by admitting our 3rd grade team is stacked. Due to some luck and unique circumstances, we have a roster of 10 very good players! Anyone could have coached this team and they would win a lot of games. We had an aggressive and athletic group of good players. We started the season winning most of our games fairly easily. So we started playing up against 4th grade teams and also signed up for a few tough tournaments with other stacked teams. From a winning standpoint, we won all our games except four of them. Two of those losses came from 4th grade teams. We won 3 of the 6 tournaments we participated in. This might sound crazy but I was worried that we might win all our games. I wanted to make sure we lost several games. Winning all your games in 3rd grade just doesn’t make sense to me… from a mental standpoint, where do you go from there? I’d rather keep them hungry and peak in high school instead of 3rd grade. I think the biggest improvements came from players just learning the game. Our skills certainly improved but these kids came in skilled (relatively speaking). I had worked with them all (except one) the previous year or two. And all of them (except my son) had experience playing 5on5 basketball. The beginning of the season was almost all fast break and 1v1. Very little “team basketball”. By the end of the season, players realized that didn’t work against the good teams. Instead they had to share (pass) the ball and learn how to get open. We made a lot of progress in regards to ball movement, decision making, and overall skills. Last but not least… they learned a lot of lessons about listening skills, being resilient, and sportsmanship. Because of that, I think the season was a success. We want spacing and ball movement until we get a good shot. Get all the rebounds. I can’t tell you how many times we referenced that statement. This group was very 1v1 oriented… so learning shot selection, decision making, and passing to open teammates was our biggest challenge with this group. If the ball is dribbled at you on perimeter, back cut. 3 options when you pass – go left, forward, or right. (In other words: go toward the ball for a ball screen, or to the basket for a basket cut, or away from the ball to set an away screen). Always fill to the ball on the perimeter (replace open spots). Get open when one pass away (pop out, back cut, screen away, or ball screen). Read the defense (ex: if defense sags… pop out). Use weakside flash cuts when defenders cheat up or turn head (lose vision of you). Look to reverse the ball when you catch at the top. We practiced away screens but rarely used them in games. We also taught ball screens mostly because we had to defend them in almost every possession of the season. So we figured we might also well work on both the defensive and offensive aspects of ball screens at the same time. For the most part, players basket cut and use the dribble drive. Which was totally fine. We just wanted player movement, ball movement, and spacing. To learn more about motion offense, I recommend the Don Kelbick Motion Offense DVDs. We just ran our 5 out motion and encouraged ball movement. I wanted our players to stop in the middle (in a gap) when cutting. However it was tough to get them to do that during a game. For the most part we just let them play. With some time, they started figuring out the ball reversal gave them better shots. To start the season, we just told players to get in a box…. then sets screens and get open. I didn’t want to spend practice time trying to get them to memorize plays. There are way too many other skills and fundamentals to work on — and I didn’t want to take time away from that. We did eventually show players this screen the screener play — mostly because so many other teams hurt us on their scripted inbounds plays that I wanted us to practice against it defensively. But I don’t think we ever ran that play correctly in a game. At this age, it’s probably easiest to put them in a box and tell them to either upscreen or cross screen. The time required to teach a more complicated screen the screener play just is not worth it. If you have to spend more than a couple minutes on it, I don’t think it’s worth it. We just had one play called low. Barely spent any time practicing. The play was used in end of quarter / end of game situations. We ran this 1 up press breaker. We never practiced this but did implement it during time outs in a tournament. I just shouted out instructions and told players where to line up during the game. Presses never hurt us. We played all man to man defense. This group had picked up a lot of bad habits playing rec basketball. They reached, lunged, gambled, and so on. We had to spend a lot of time teaching them how to guard the ball and CONTAIN it. We just focused on the basics of on ball defense, one pass away, and help side. And just like all young teams, getting all 5 players to know who they are guarding is half the battle. So we wanted them communicating every time they touch the ball. We just taught fundamental aspects of man to man defense. To me this is the most important thing for coaches. We spent a ton of time teaching and emphasizing core values and developing character skills. We also emphasized “effort”. But they played so hard anyway… we didn’t have to talk about it too often. Here’s a print out I gave to all the players on the team after our last game. I briefly talked about the values, encouraged them to apply these lessons to other sports/teachers/parents, and told them to hang this in their room. We tried to be sticklers for the listening skills — and being respectful of coaches, refs, and players. Whether it was a stern talk, doing push ups, or sitting out… we tried to make sure they listened and respectfully kept their eyes on the coach. Post footwork. To get lots of reps, everyone had a ball and we usually did spin outs. I taught same footwork shown in the Attack & Counter DVDs. Beatem to the left. Set up cones where dribbler has to speed dribble (race) with weak hand and turn the corner to beat the defender. Screen away shooting. Just taking a piece of our offense and turning into skill building drill. Also ran a ball screen shooting drill. 2v2, 3v3, 4v4 with various rules and emphasis — ball screen attacks, screen away, post ups, full court rugby, no dribble, etc, etc. Many of these drills can be found here. Defensive shell drill. Details of shell drill and teaching progressions can be found here. 1 pass away denial drills. Cut throat 1v1 close outs. Split into groups of 3-5 based on ability. Roll or pass to player near free throw or 3pt line. Close out and play 1v1. Make it take it. Next player in on D. Loser goes to end of line.